It’s been 20 years since D’Julz started his now legendary Bass Culture parties at Rex Club in his hometown, Paris. In two decades the party has achieved international recognition, supporting some of the world’s best-known house and techno artists and establishing its own inimitable style. As a party brand and record label, Bass Culture has remained true to its sound since day one, representing only the finest house and techno. 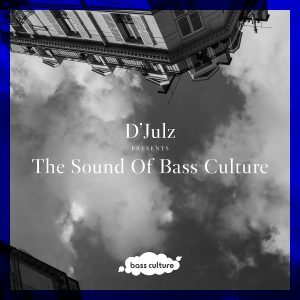 To celebrate 20 years since its inception, D’Julz has recorded a mix which delves into the label’s back catalogue, showcasing some of its biggest releases and classic reissues, and giving some insight into the tracks that took the roof off at the Bass Culture parties. On this mix you will find all killers and no fillers, a treasure trove of gems from the last 20 years. Kicking off with ‘Serendipity’ – a serene 2015 track produced by the Bass Culture bossman himself – we’re immediately transported into the sultry sounds of the influential label. This is followed by the marvellous ‘Not What U Thought’ by D’Julz and Cassy, which leads us into 1 hour and 10 minutes of house and techno bliss, encapsulating two decades of smooth grooves, infectious basslines and music aimed at stimulating the body, mind and soul. Listen out for classics like ‘JB’s’ by Mr. G, a key member of the Bass Culture family, along with D’Julz’s edit of ‘Activa’ by Steve Rachmad, Ron Bacardi’s ‘Rock Your Body’, Mark Ambrose with ‘Groove X’ and the dance floor favourite ‘Don’t Let Love Pass You By’ from Master C & J feat Liz Torres and edited for the 2000s by D’Julz. Just a few highlights from a mix that is full to the brim with house and techno of the highest quality, timeless treats from a label that has consistently delivered great music from talented artists, old and new and stayed true to itself regardless of meaningless trends. Here’s to another 20 years! Vive la Bass Culture! This entry was posted on June 18, 2017 at 01:22 and is filed under Release.